Algae scrapers are commonly overlooked and can save you a ton of time. The common solution is a magnetic scraper, but they usually do not provide much force for removing hard algae. 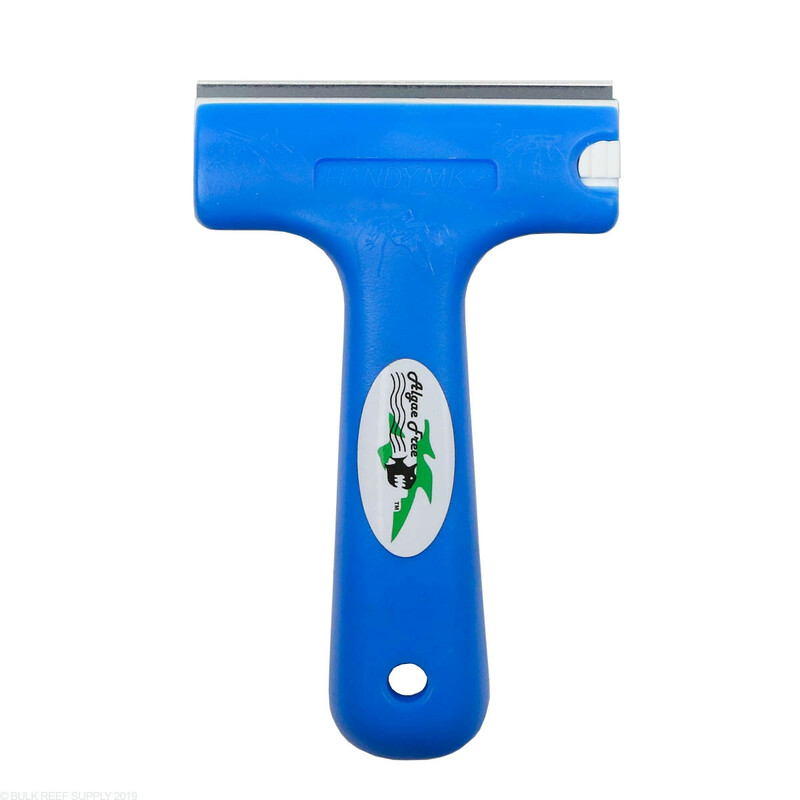 The thick plastic handle lets you apply a lot of force, while the wide blade lets you scrape over 3" in a single swipe. The blades can be easily replaced for repetitive uses and only takes about 30 seconds to change out. 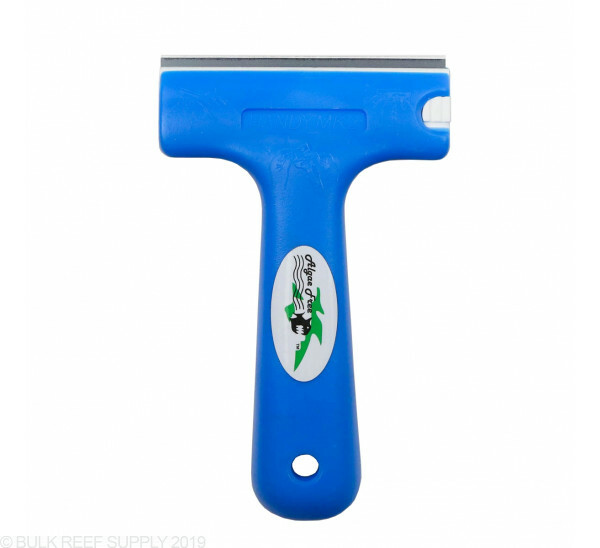 The thin handle lets you get in between your rockwork and your glass, or in other places that your magnetic scraper will not fit, like the back glass of your tank.